This project was a product of my work with Dr. Mara Wagner and Gunta Kaza at the Dynamic Media Institute at MassArt. The Lovebot is a tool inspired by, and designed for Akaky, the main character in Nicolai Gogol's The Overcoat. Akaky suffered from identity-independence disorder, which kept him from engaging with his peers. The function of the Lovebot is to follow Akaky in his daily life and engage him periodically to remind him that there is a world outside of his own. Below is my my initial concept animation for The Lovebot. Once I had created the initial concept animation, it on'y seemed right that I make a physical version for people to interact with. 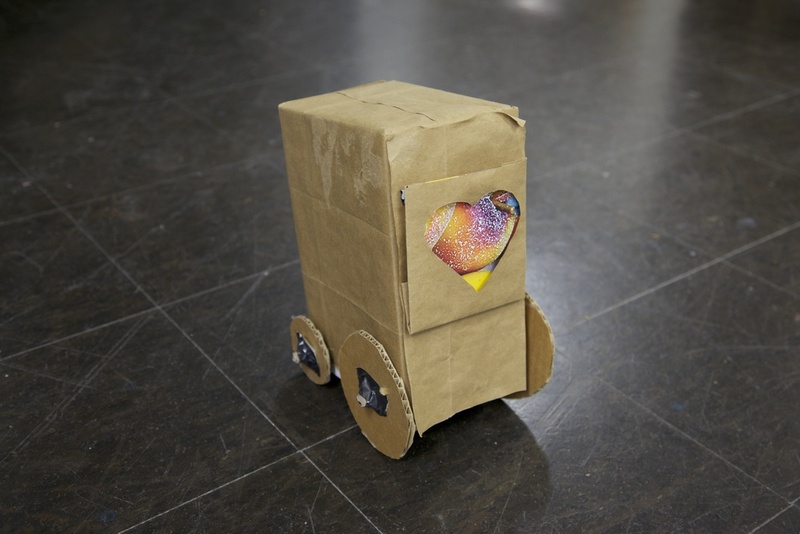 Using some Cardboard and other various materials around the studio, I created a real-life version of the Lovebot. The camera that I mounted inside of The Lovebot captures Akaky's interactions throughout the day for review and assessment by Akaky or a doctor. Below is a short film I created to communicate what that documentation might look like.